Life Just Got Better! 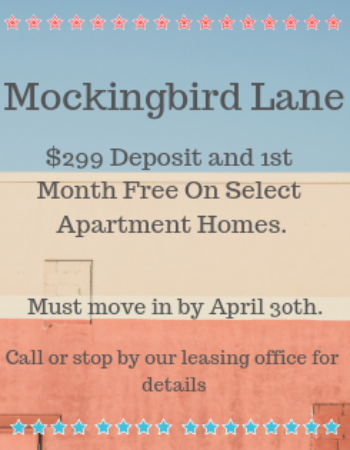 Mockingbird Lane is a beautiful apartment home community located on 13 acres of lush landscape. We are conveniently located just minutes from shopping, entertainment, and transportation.